We all know the rule – no wearing white after Labor Day. It’s a saying that has been ingrained in our minds for quite some time. However like many other fashion rules out there, they are meant to be broken. Style should not be dictated by rules especially since fashion is always evolving and changing. Besides, where did this rule come from in the first place?! So I’m rocking this one shoulder top from Rachel Roy without a care in the world. Although it is just a white top, it has a lot of interesting features that bring it to life. Volume sleeves and asymmetry are all the rave so this top is perfectly on trend. I love the tie detail that helps to accentuate your waist and add shape. This top needed no added frills so I wore a pair of simple yet quality skinny jeans and neutral accessories. Break the rules and blaze your own trails! You look amazing in this outfit. It’s simple yet chic. 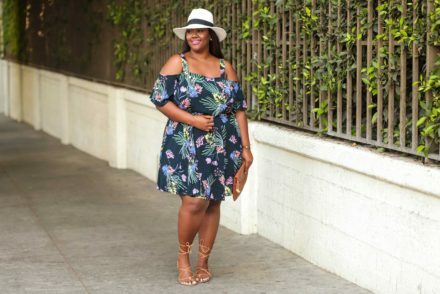 I have to say I am always afraid to wear off the shoulder tops or dresses because of my larger bust. What is the best strapless bra for larger bust women? Thanks so much! I actually have a post on that. 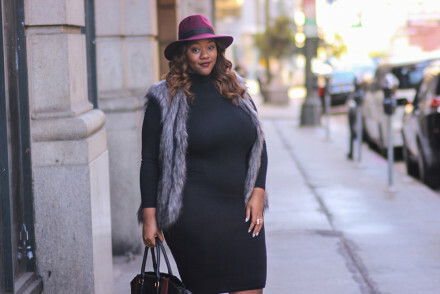 You can find it here: https://www.trendycurvy.com/2016/07/28/lets-talk-shapewear/. Hope that helps! These outfits are so gorgeous!! Love the necklace it really accentuates the top. The one shoulder top is really cute. Is one shoulder in now? I think so, and I love it! Keep up the good work! Love this! 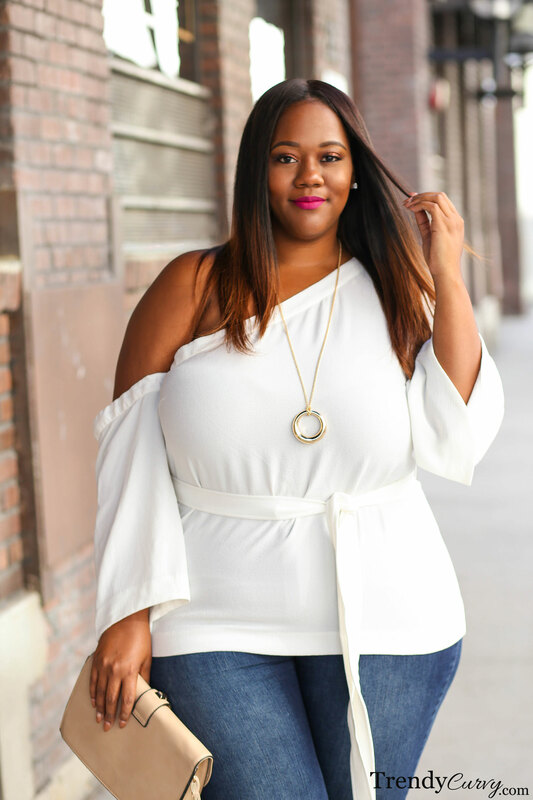 I love the off the shoulder look on you! Beautiful top! Hi Kristine I loved this very interesting look, how can I buy and receive Rachel Roy clothes here in Angola? You’re right, this rule is made to be broken and you break it so well. Honestly, no one really follows the ‘No White After Labor Day” rule. Just like you Kristine, I just ignore it and keep on rolling. And seriously, with that top who wouldn’t break the rules? I just love the lines and the silhouette. Thanks so much for sharing! Hey Kristine, what size are you wearing on this off the shoulder top?